Your application for incorporation must be received by Companies House by 3pm. We will endevour to send off applications up until 2.45pm. Please allow enough time for us to identify your application and handle the electronic procedures. With Same Day incorporations, all applications received at Companies House by 3pm on a weekday (Mon to Fri) are generally guaranteed to be processed the same day. Companies House guarantee that the company will be incorporated on the date of receipt. 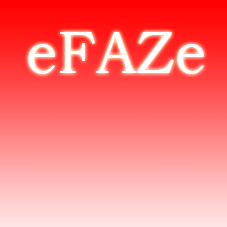 eFaze will submit same day formation orders up until 2.45pm. Please allow sufficient time to complete your application, plus 10 minutes for the eFaze automated system to submit it. We strongly advise you not to leave submission until 2.44pm as this will leave us with insufficient time to identify your details on our electronic system. If there is any problem with the application and it is rejected, (Eg a wrong postcode ) that is not the fault of eFaze, we cannot be held responsible for missing Companies House deadline. If, for any fault of eFaze, your company is not formed on the date of application you may have a full refund. If, for any fault of Companies House, your company is not formed on the date of application eFaze will refund you the Same Day surcharge. To purchase this additional fast service, please check that your company name is available using the search from the main page, and then select the Same Day option under "Registration Options".